If My Company Closes, What Happens to My 401(k)? If you work for a company that is shutting down, changing ownership, or filing bankruptcy, you might be concerned about what will happen to the money in your 401(k) account. In accordance with federal law, your employer must keep your 401(k) funds separate from the company’s assets, so business creditors have no access to it. You'll be able to keep most of the funds in your 401(k), and you can move them to another type of account to keep your nest egg safe. Your 401(k) account usually holds several different types of contributions. The contributions you put in are called salary deferral contributions. These always belong to you, as they represent your earned wages paid into the 401(k) account. The company cannot take this money, and it is yours by law. Often, companies have a separate, independent firm acting as a 401(k) administrator to provide service for the plan. Whether your company had an internal or external plan administrator, that entity is bound by a fiduciary duty to put your needs first as the account holder. This acts as a safeguard because it protects an unscrupulous employer from taking your money. If your company made contributions for you, they were either matching your contribution or making a profit-sharing contribution. Some of this money may belong to you; some may not. This type of contribution can be subject to a vesting schedule, which means the longer you stay employed with the company, the more of that money belongs to you. The portion of your employer contributions in which you are 100 percent vested belong to you, so that part of your money also stays secure. Is Any Money at Risk? When you make a contribution to your 401(k) plan, your employer withholds the money from your paycheck and then sends it to the 401(k) plan accounts to be invested. 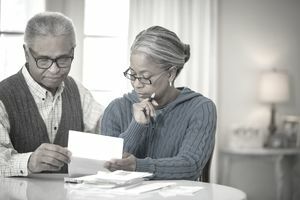 If your company had withheld money but then closed or filed bankruptcy before they sent the money to the 401(k) plan, then that pay period’s contributions may be at risk. With matching contributions or profit sharing contributions, your employer may wait to deposit the funds by their tax filing deadline plus extensions, which can be as late as October of the year after you earned the match or profit sharing. Again, if the company closes or files bankruptcy before they make this deposit, you may not receive that part of the money owed to you. If you owned company stock in your 401(k) plan, and the company is now worthless, then that part of your 401(k) plan will also have no value. This potential problem is one of many good reasons to diversify out of your company’s stock. If the 401(k) Plan Shuts Down, Will I Owe Penalty Taxes? If your company shuts down, files bankruptcy, or closes the 401(k) plan, you have several ways to keep your 401(k) money growing for your future without having to pay any penalties or income taxes right now. You can do what is called a rollover, where you move your 401(k) money to an IRA account. If your 401(k) plan has been terminated and your employer no longer exists there will be no taxes or penalties assessed on a rollover. If you go to work for a new company that has a 401(k) plan, you may transfer your old 401(k) money right into your new 401(k) plan. Ask the plan administrator of your current plan for the paperwork needed to do this. You can also cash out your 401(k) plan, but this is rarely a good idea. The money went into your 401(k) on a pretax basis, so you will owe taxes on it, and possibly penalties if you take the cash instead of putting it into another investment account. Also, 401(k) money is protected from creditors in the event you had to file for personal bankruptcy, and by cashing it out, you will lose this protection. You will also be eroding your nest egg and would be better off using an IRA rollover or making a transfer to a new 401(k) plan instead of cashing in this money. If you had borrowed money from your 401(k) plan and haven’t yet paid it back, this creates an unfortunate situation. You have 60 days to repay the loan, or it will be considered a distribution of cash, and it will become taxable income to you. This type of distribution is reported to the IRS at year end on a 1099-R tax form. If you are under 59 1/2, you will owe a 10 percent early withdrawal penalty tax on the distribution in addition to regular income taxes. What If You Can’t Find Your Old 401(k) Plan? You may have money sitting in a 401(k) plan from an employer you worked for a long time ago. If you can’t locate that employer, what else can you do? Your old employer may have listed you as a missing participant so you may want to check The National Registry to see if you are listed. You can also try searching the Department of Labor’s Abandoned Plan Database.